Ultimate peace of mind for your personal computer. – Software support, Anti-Virus and maintenance all rolled into one package for a low monthly fee – for your ultimate peace of mind. Let us take care of you. Signup Now – Getting started today with PC Care for your personal computer. PC Care Backup powered by CareDrive – Cloud backup powered by CareDrive for laptops and desktop computers with image-based backup capabilities. Start protecting your data today. Signup Now – Getting started today with PC Care Backup for your personal computer. Ultimate peace of mind for your Mac. – Software support, Anti-Virus, and maintenance all rolled into one package for a low monthly fee – for your ultimate peace of mind. Let us take care of you. Signup Now – Getting started today with Mac Care for your Apple computer. Mac Care Backup powered by CareDrive – Cloud backup powered by CareDrive for laptops and desktop computers with image-based backup capabilities. Start protecting your data today. Signup Now – Getting started today with Mac Care Backup for your Apple computer. Mac Hardware Repair – Warranty and Out of Warranty hardware repair on Apple notebooks and desktops. Why Choose Us? – As an Apple Authorized Service Provider, all repairs are performed by Apple Certified Mac Technicians using only genuine Apple parts. NetCare at Home: Whole Home WiFi – NetCare at Home focuses on today’s need for wireless everywhere. Older wifi systems were not made to keep up with today’s demand, so it is time for a better solution. Schedule a NetCare Evaluation – Have network issues and not sure where to start? 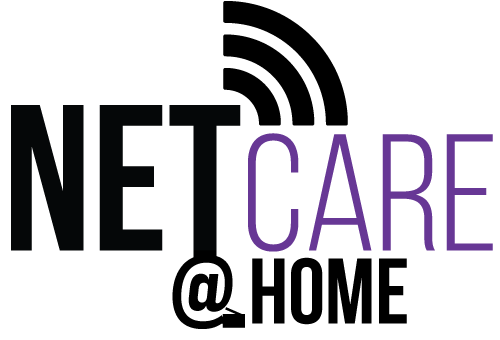 We can schedule a Free, no obligation, NetCare Network Evaluation. MediaCare powered by Inmotion – We can preserve your memories – one video and photo at a time. With over 10 years of experience, INMOTION takes pride in professionally transferring your media into a newer format which your family will enjoy watching and sharing for years to come. Start your MediaCare Project today – Through an exclusive partnership with Inmotion, we have made the process very simple. BizCare Analysis – Not sure what service fits your needs? We can schedule a Free, no obligation, BizCare Analysis to see what services fit your needs. BizCare Service Plan – Our BizCare plans are geared towards businesses who want the peace of mind knowing that they have continual, proactive IT service and support. NetCare Network Evaluation – Have network issues and not sure where to start? 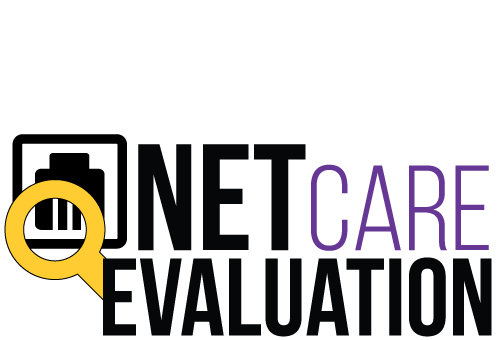 We can schedule a free, no obligation, NetCare Network Evaluation. NetCare Managed Networks – Cloud-managed network infrastructure for your small or medium-sized business. Whether you have issues with your current equipment or need an entirely new setup, we are here to help make your network for you. Web and Email Hosting – Solid web hosting is essential to a successful website. We have dedicated servers that we fully manage. All of our servers are Linux based offering the solid foundation you deserve for your site. BizCare Hosted Servers – We offer a wide range of hosted servers from Windows to Linux – we have you covered. With access to multi geographical data centers, we can make sure your hosted server is reliable, safe, and secure. BizCare Data Protection – Help prevent data loss and theft with the features provided by a BizCare Service Plan. BizCare Backup powered by CareDrive – Local and Offsite backup powered by CareDrive. Offering backup for workstations, servers, and cloud services. Microsoft Office 365 – Includes the award-winning Office Suite, email, cloud storage, and many other features to keep your business connected. G Suite by Google – Gmail, Docs, Drive, and Calendar for business. As a Google Cloud Partner, we can assist with the entire G Suite experience. DropBox Business – The same DropBox you know and love with extended features focused on Business and Team environments. The best way to contact us to ask a general question. Create an appointment to have your technology issue resolved. Visit one of our store locations throughout Eastern NC. Send us text at 252-558-1275.